Essae is a manufacturing licensee and sales partner of Kanawha Scales & Systems, USA. Essae Digitronics have been able to build Rapid Loadout System by using technical know-how from Kanawha Scales and Systems, as we are its licensed partner. Kanawha Scales and Systems, USA have designed, build high speed rail wagon load out systems and have commissioned over 80% of load-out systems worldwide. These serve various industries like mineral and mining. Execution of rapid loading system projects are main focus of Essae's extreme expert management team. Integrated turnkey solutions are offered to the individual plants as per their specific requirements. Our products are certified from National Conformance of Weights and Measures. Our rapid load out systems are fully automated, provide an accuracy of ±350 kg/wagon, comply with OIMLR-76 requirements and have unmatched real-time analysis of loading performance with sophisticated reporting capabilities. High mining output in a day can be achieved by only an Essae-Kanawha customer as there are demurrages, pays no penalities and recovers their investment in a short time. Certificate of conformance from National Conformance of weighs and measures come with all loaders. 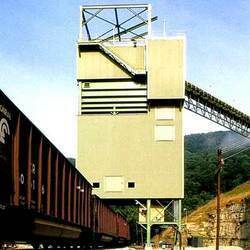 Dustless control gates: Double-blade slide-gate design allows for quick response to control signals for the accurate cut-off assuring consistent weight wagon after wagon. Calibration system: Built-in certified test weights allow testing from the control room assuring accuracy in weighing performance of every train. 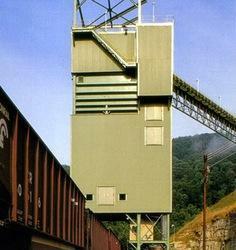 In co-operation with Kanawha Scales & Systems, Essie offers to design your entire coal or Rail Loadout from the ground up.A typical Batch Master® configuration will incorporate an entire system of components working in harmony to create the world's most dependable and reliable railcar or coal loadout system.KSS is the largest manufacturer of RLS in the world, Over 180 installation world. 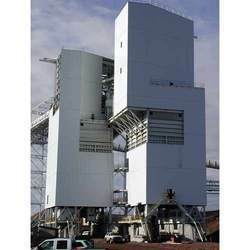 To meet the variegated demands of our customers from the industry, we are engaged in bringing them forth a highly advanced range of Material Loading Systems. Stringently tested on various parameters in order to ensure its flawlessness and safety about the use, our range of Material Loading Systems is in huge demand across the nation. We offer our range of products to customers at comparatively low prices in the market. Trucks with axle load higher than legal limits cause a disproportionately higher percentage of damage to the infrastructure and adverse impact on traffic safety. 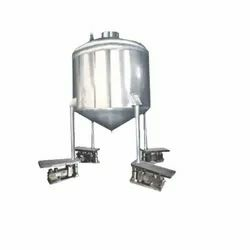 Our Company SS Tank Weighing System System is a robust, reliable, maintenance-free weighing mechanism designed for use on highway & Mines. Looking for Loading Systems ?